Biometric Attendance Machine and External Devices Integration module help in automation of staff attendance and various other activities. It can also help in tracking in and out time of employees; their total work duration, lunch breaks, etc. Attendance is one of the concerns for school management team because existing system cannot maintain proper records like the accuracy of attendance, no proxy, etc. External Device or Biometric System has quickly gained its position in most of the offices and institution and reason behind this is that it is transparent, accountable, suits for flexible work culture. The present system for marking attendance of employees should be fast and accurate and maintain the data on real timings where no effort by management is required. With the introduction of External Device Integration, this will ensure that school can easily manage the entry and exits and restricted access to the premises of the staff. It is also integrated with Advanta Rapid Attendance module which helps to track the working hours and shifts, etc of the employees. With the technology, this device captures all the information quickly with security. Advanta Rapid has come with the feature of External Device Integration, which is used to track staff time in and time out details with all necessary details required. This powerful tool is fully secured and it ensures employees real-time present to be marked in attendance. 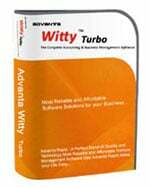 It is the most reliable, superior and low-cost product in Advanta Rapid software. 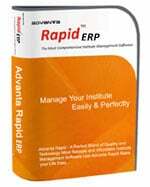 This feature is available in Advanta Rapid ERP school management system, college management software, and institute management software. Biometric device is not so expensive. It is affordable, so that it can benefit to most of the schools or institutions. There is a provision that school management can send sms to their employees and regular updates for their attendance, leaves, etc. Need more information on Biometric Attendance Machine and External Devices Integration? Contact us for a free demonstration of Biometric Attendance Machine and External Devices Integration.